Cash or check only. All checks made payable to Graylin Porter. Call: 812.736.1949 or use contact form below. Please arrive 10-15 minutes early to fill out waiver and get settled. All equipment is provided, including Manduka PRO mats and Hugger Mugger cork blocks and straps, but if you wish to bring your own please do so. I have been practicing yoga since 2006, starting in Asheville, North Carolina during my college years. What started as a casual activity quickly evolved into a dedicated practice while living abroad. While attending graduate school in Edinburgh, Scotland, I was fortunate enough to have enough free time to volunteer at Bristo Yoga School. Here I was introduced to the Ashtanga vinyasa system by Karen Breneman and truly fell in love with yoga. After moving back to the US, I started working full-time in administration at Castle Hill Yoga in Austin, Texas. I am forever grateful to Castle Hill Fitness & Yoga for the priceless education I received from instructors such as Jenny Wicke, Selena Pang, Gioconda Parker, Sam Rice, Matt Borer, and Christina Sell. In June 2012 I completed a 300 hour level teacher training program with instruction from Linda Smith at Orbis Yoga in Louisville, KY. I am certified and registered with Yoga Alliance and plan to continue my education in the future. 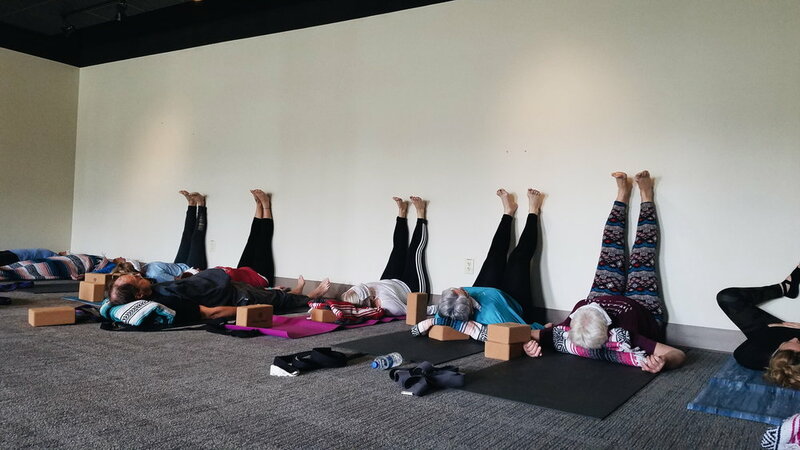 The majority of my study has been in the Ashtanga and vinyasa flow traditions, but after completing teacher training, I developed a strong appreciation for the Iyengar style. I just recently completed an additional 300hr Advanced Studies teacher training at the Asheville Yoga Center and am certified at the 500hr level. I've also attended workshops and received training from yogis such as Christina Sell, Kathryn Budig, Kino Macgregor, Saraswathi Jois, Ryan Conrad, David Keil, and Noah Maze.